I've had these hiding away in a makeup box for years, I brought them because they are utterly gorgeous but apart from doing the odd glitter eye look I've never really had a use for them. 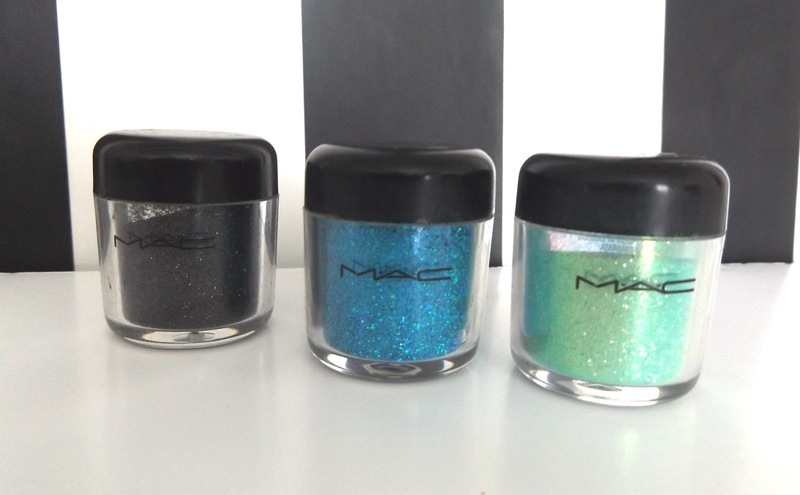 Mac Pigment Colour Powders can be used to loads of different things from makeup to creating your own nail varnish. I'll start by saying although I adore Mac products, I do not purchase them any more. I brought these when I was around 17 and didn't know any better but it's come to my attention that Mac test on animals. I've decided that poor bunnies probably don't need to go through a life of misery so I can have a love affair with a foundation and only buy cruelty free brands. However, I did want to review these as I said because I've had them for so long! I brought all three years ago and haven't used them in around 5 years. I'm not even sure if I should be using these as a cosmetic any more but I will still use them to add glitter to my nail varnish. First up is the black glitter. I was a mammoth Goth in my younger years so this did get some use but as you can see by how full the pot is, it wasn't my go to! 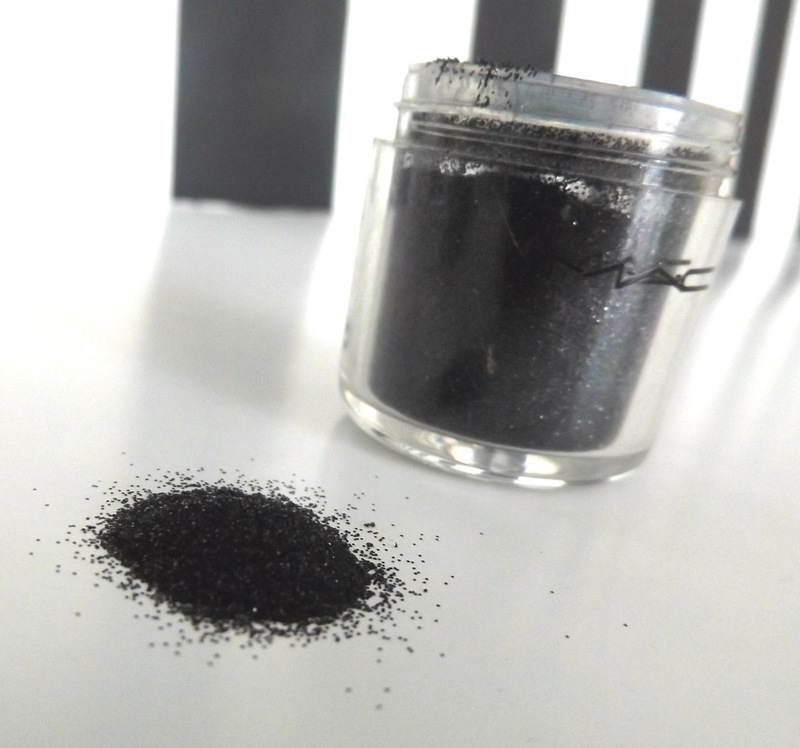 This is a proper jet black glitter and it isn't really that glitter but it does offer the odd sparkle when worn. All the glitters are super fine so really easy to use! Hello gorgeous. I adore this colour. It's such a lovely bright blue that's super glittery and offers fab coverage. I used to use this with a cheap glitter eyeliner to help me create a seriously glittery eyeliner that I wore under my eye on nights out. Due to it being such fine glitter, it's really easy to build up so you can go just a little twinkle or full on sparkle. As you can tell by the half empty pot, this was my favourite of the three. 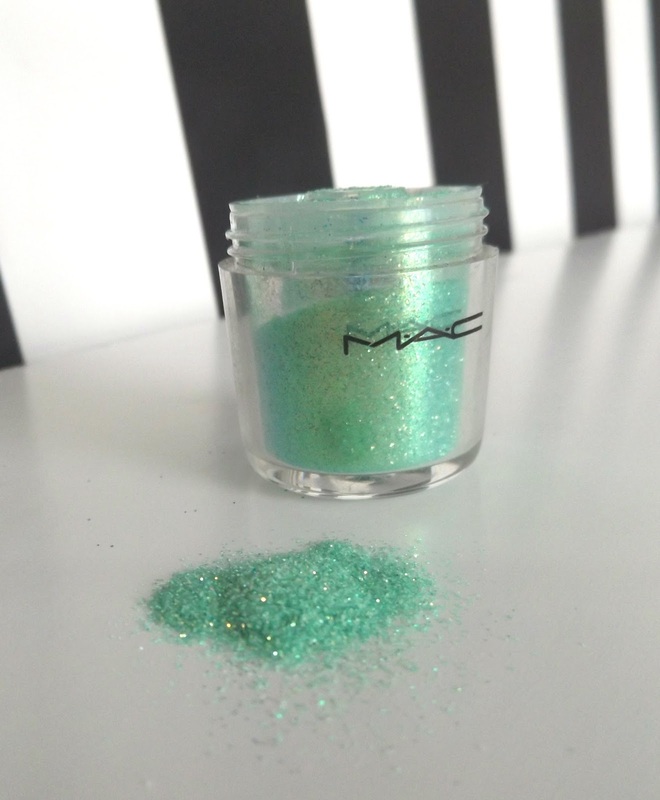 It's a gorgeous light green glitter that goes on with the lightest touch of green tint and has a lot of gold tones. It's gorgeous for summer and it was my go to out of the three pigments. Again due to the glitter being so fine it's buildable and I think it's that reason I really did love these pigments so much! 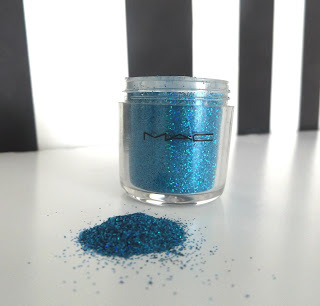 Now days I opt for Urban Decays glitter eyeliner that is not only cruelty free but super pigmented and glitter wahoo! Do you opt for glittery makeup? In fairness, when you were 17 they didn't test on animals ... I'm in the same boat though, have a lot of MAC in my collection but wouldn't purchase now. I've done the same thing with pigments, I had a violet one I've never worn but it looks like fairy dust in a bottle so I can see why I was attracted to it ha! I love the green one. I don't buy mac for the same reason. I like the look of the lippies but I just can't do it. I stopped buying UD when they lost their cruelty free status and never went back when it was reinstated. The company changed when L'oreal took over. Can you suggest any glitter alternatives :)? It's so barbaric that companies still test on animals. The U.K. has banned it so that's a small step!